Hong Kong Cycling Association was founded in 1960. In the early stage, promoting Road Race was the main theme of the Association. After years, Track Race, BMX Race, Indoor Cycling Artistic and Cycle-ball were also included. Until 1994, the Association commenced to organize the Mountain Bike Race and Youth & Children Cycling Race. Moreover, the Association is being the most diverse categories of local events in Asian region. To improve the corporate governance, "The Cycling Association of Hong Kong, China Limited" is incorporated and is registered under the Companies Ordinance in April 2014. It starts operation from July 2014 and takes over the responsibility of developing the Cycling afterward. The main duties of the Association are promoting different cycling activities and organizing local and international events. Training courses for public have been held included Cycling Proficiency Course for beginner, Track Training Course, Mountain Bike Training Course, Indoor Artistic Training Course and Cycle-ball Training Course. Furthermore, in order to suit the on-going development of various cycling event, the Association also conducts courses for Local Commissaire of every classes and Coach Education. In our Association, we have a number of International Commissaire and they are quite often appointed by UCI to officiate in the Olympic Games, World Championships, Asian Championships, East Asia Games, Tour de Taiwan, Tour de China, etc. 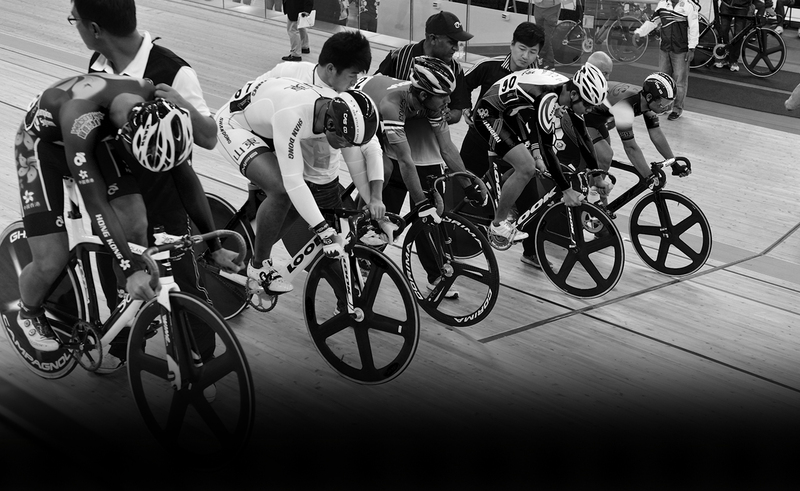 The Association always actively bid for hosting or co-organizing some of the Major International Cycling Races, such as Hong Kong International Track Cup, World Indoor Cycling Championships, Tour de China, Marlboro Super Series and Tour of South China Sea, etc., in the purpose of advancing the interest of the publics and enhancing the power and on-field experience of our local athletes in the high-level competitions. On the other hand, the development of Hong Kong National Squad Team is also another major task of the Association. Mr. SHEN Jin Kang, the ex-Head Coach of China National Team, started his another Head Coach life in Hong Kong Team since 1994. In this connection, the power of our athletes can be controlled and raised through the scientific and systematic training programmes. Among the International competition, the performance of Road race, Track race, and Indoor Cycling Artistic are quite outstanding. Especially, the Gold Medals in the individual road race of WONG Kam Po in Asian Games 1998, National Games 1997 and 2001 would be remarkable results among the major achievements of Hong Kong Team in cycling. In recent years, LEE Wai Sze Sarah, an outstanding female athlete, won the 2013 UCI Track Cycling World Championships. She is the first female athlete to achieve Hong Kong's highest honor of the "Rainbow jersey". Meanwhile, the Association pays more effort in the development of Junior Squad Team in every year, we would select potential cyclists to join our regular training. We hope that they could inherit the honourable spirit of Hong Kong Team from generation to generation.